Shire (SHP.L), the London-listed rare diseases specialist that is a potential takeover target for Japan’s Takeda Pharmaceutical (4502.T), is selling its oncology business to unlisted French drugmaker Servier for $2.4 billion. 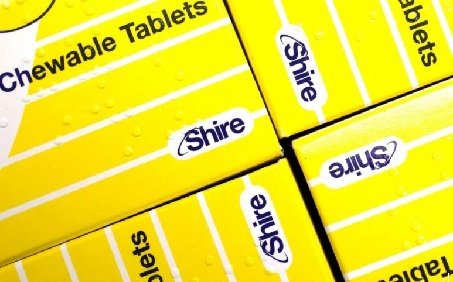 The deal suggests there is value locked up within Shire’s portfolio - despite a dismal share price performance in the past two years - as its management braces for a possible $50-billion bid battle with Japan’s biggest drugmaker. analysts said this was unlikely to be a deal breaker. Shire was at pains to point out that it started exploring the sale of oncology in December and commenced the disposal process in January, during which it identified multiple possible U.S., European and Japanese buyers. Takeda’s interest in Shire was made public only at the end of last month. Under UK takeover rules, Takeda has until April 25 to announce whether or not it will bid for Shire, which has a market value of around $47 billion.